I was at Metrocentre yesterday, and noted that work seems to be progressing well on Primark’s redevelopment of the former Woolworths unit. 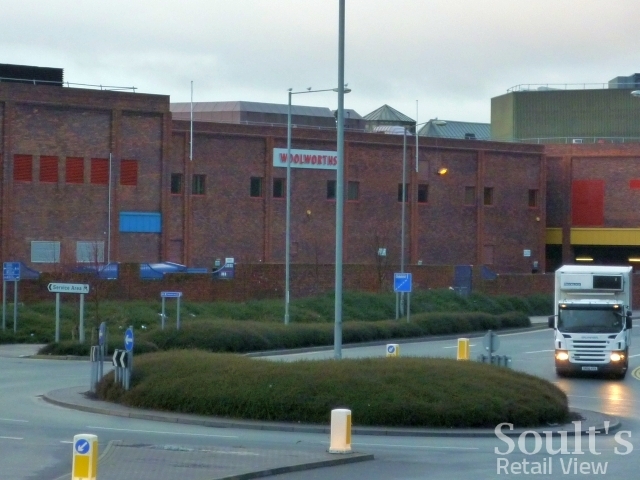 Though Primark’s relocation from its existing ex-Littlewoods unit had been rumoured for the best part of a year, the news was only confirmed in January. 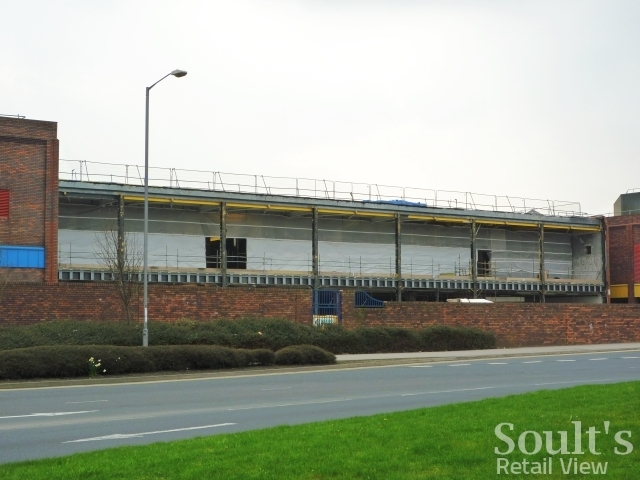 The new store is set to occupy 74,500 sq ft – seemingly larger than originally suggested – incorporating the former Woolworths site, some extra adjacent space, and the new 15,000 sq ft rear extension that was granted planning permission last May. Though there’s nothing new to be seen from the boarded-off mall side, the rear of the store looks like it’s being prepared in readiness for the extension. The old Woolies signage has gone, along with all the brick cladding, exposing the steel frame underneath. 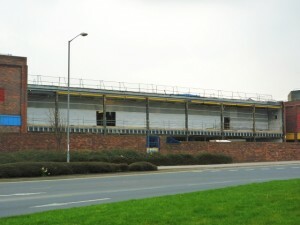 As far as I’m aware, no opening date for the new Primark has been confirmed. 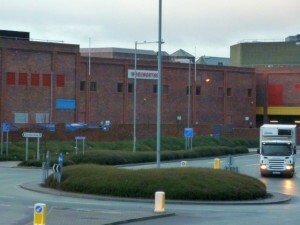 Back in November, Capital Shopping Centres’ interim management statement for the period 1 July to 3 November 2010 suggested that the then-unnamed “major value fashion anchor” on the former Woolworths site had “a target opening of July 2011”. However, given the amount of work still to do, this now seems unrealistic. Primark’s rather rudimentary website is little help either. Though there’s a ‘Future Stores’ link from the homepage, the map that it directs to doesn’t show any future stores at all, while the site’s ‘News Stories’ section hasn’t been updated since October. Primark does have a reputation for hiding its light under a bushel as far as PR and the media is concerned, but it always surprises me that one of the UK’s most talked about retail businesses has such an underwhelming web presence. Next’s extension and redevelopment of a slightly smaller space in Newcastle’s Eldon Square – set to open next month – has taken the best part of a year, so it wouldn’t surprise me if Primark’s target is to be open in time for Christmas 2011. Something tells me that Tyneside shoppers will flock to the store whenever it opens, regardless of how much – or little – information we’re fed in the meantime.